Werdohl, Germany, January 2019. Torsion Control Products (TCP) has developed a customized coupling configuration for a manufacturer of motor graders for road construction. With their unique torsional characteristics, the robust spring couplings attenuate torsional vibration, isolate resonance, protect against overload and shock, reduce noise, improve the service life of bearings and gears and increase system durability. They operate in even the roughest environmental conditions. 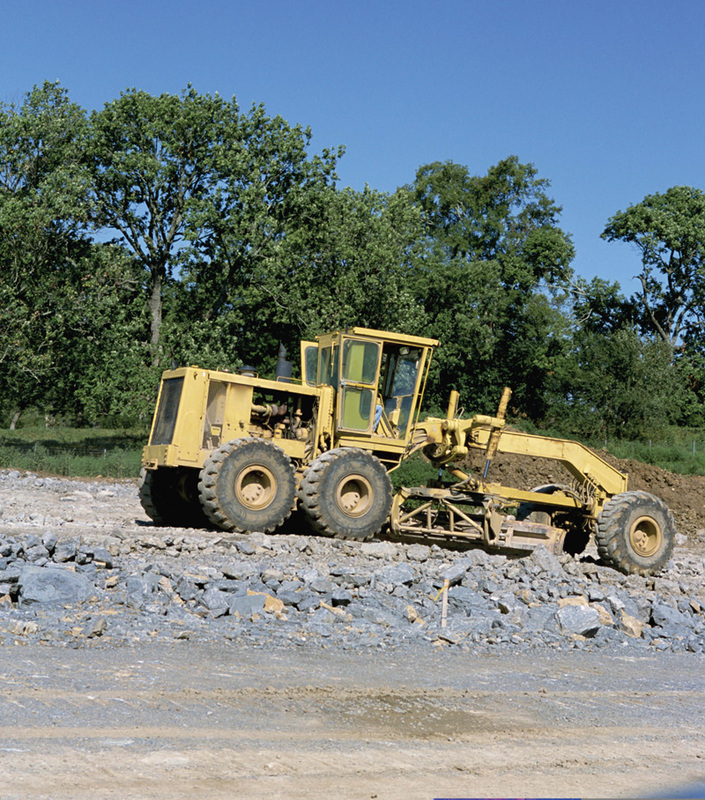 Motor graders are heavy equipment used for farm and forestry road maintenance and road construction. “Uncomfortable and unacceptable” are words that one road construction equipment manufacturer didn’t want to hear as they prepared to take a new motor grader to market. After tooling the machine and putting it through final testing before releasing it for production, operators found that the grader suffered from resonance during normal operation, making it unsaleable. Because their current coupling supplier was unable to resolve this issue, the manufacturer sent eight engineers to Torsion Control Products. The TCP team listened to their concerns and discussed their needs, from configuration to cost. TCP quickly proposed a unique solution: an all new spring coupling configuration that matched the motor grader’s unique performance specifications and aligned with the direct-mounted transmission. The team pressed ahead with production of its first-piece prototype in four weeks. The new coupling went into production six weeks after the first meeting. Thanks to the efficient and speedy work of TCP, the motor grader could be launched without delay. TCP spring couplings are designed for use in construction machines, agricultural vehicles, mining equipment, marine powertrains and industrial equipment. With their unique torsional characteristics, the spring couplings are especially suited to modern diesel engines that produce lower emissions and more power in smaller packages at lower operating speeds. 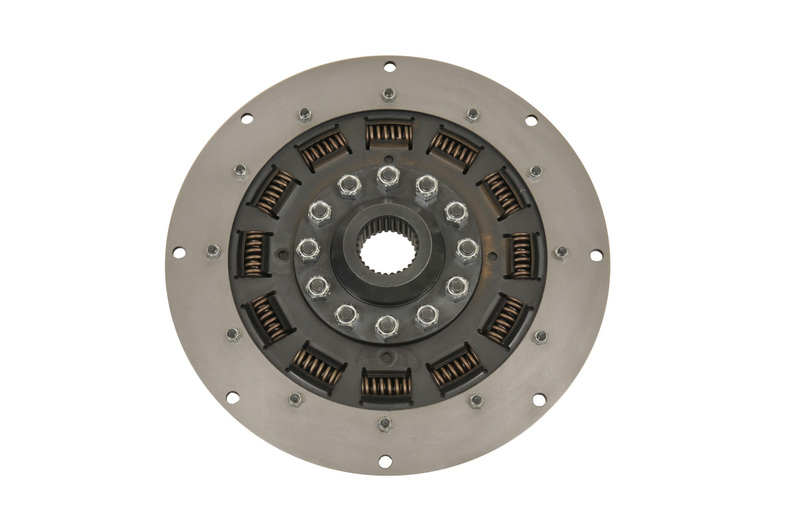 They run reliably and attenuate drivetrain vibration even in the roughest of applications. With their Smart Damping system, the spring couplings can be tuned to supply damping only when needed and to isolate resonance when damping is detrimental. This reduces torsional spikes at startup, shutdown and transient events, which increases the coupling’s lifespan. The range of TCP spring couplings comprises various versions and covers a torque range from 27 to 27,000 Nm. Torsion Control Products has been developing, producing and distributing a wide range of torsionally soft couplings for mobile machinery for more than 30 years. In April 2017, the power transmission specialist joined the listed US-based Timken Company (NYSE: TKR; www.timken.com). Timken engineers, manufactures and markets bearings, gear drives, belts and industrial chains. In addition to coupling specialists Torsion Control Products, R+L Hydraulics, Lovejoy and PT Tech, the Timken product and services portfolio includes the brand names Timken, Philadelphia Gear, Carlisle, Drives, Interlube, Aerospace Bearing Repair, Cone Drive and Rollon.